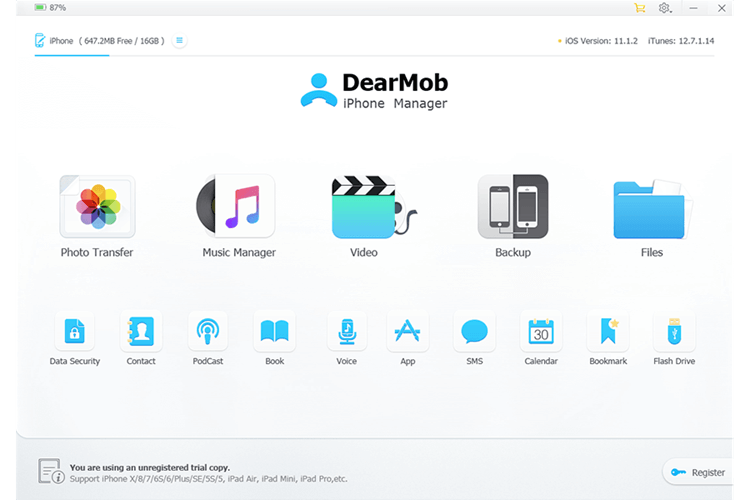 Hello admin, would you run a giveaway for the DearMob iPhone Manager on your website?. 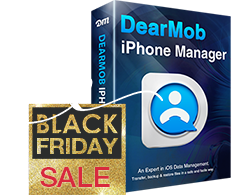 DearMob iPhone Manager – The World’s No.1 iOS Manager to transfer iPhone Data with U.S Military grade Encryption Method. DearMob iPhone Manager allows you to fully manage your iOS data. Built-in is the ability to transfer iPhone photo, video, and contacts with Military encryption grade to prevent privacy leaks, backup and restore iOS data in time order, and options to selectively 2-way transfer contents from computer to iPhone, be it photo, video, music, contact, message, iTunes U, Podcast, app, calendar, voice, File, etc. Your Privacy is not immune to leaks, Shield it to avoid threats with DearMob iPhone Manager. Giveawaway Duration: April 18th to May 20th. Hello, would you like to host a giveaway of the newly released Free SD Memory Card Recovery software (https://www.icare-recovery.com/card-recovery/)which has been especially designed to recover data from different memory cards after delete, format, raw file system error, not formatted error or emptying recycle bin, etc? We can offer you 72 hours unlimited giveaway of this Free SD Memory Card Recovery to your site visitors for free, which would increase the value of your site. We have released a new software All PDF Converter which is capable of converting PDF files to 7 formats. Multiple languages support. I would like to submit it to your website for giveaway campaign. If you feel interested in it, please contact me. Thanks a lot. We have released a new freeware PDF security tool PDF Anti-Copy – https://pdfanticopy.com. It protects PDF files better than normal adding owner password/restrictions only. It is a multi-language version includes English, French, German and Chinese language packs. Is it possible to submit to you? I am contacting you because I believe you to be an authority in the same area we work in. I was really impressed with your free software website. Your content is always fresh and exciting, and you seem to have an audience that’s really involved and interested. It’s no wonder that so many people follow you. My name is Yulia and I represent the Giveaway Club, a cool new software and game giveaway platform. Our audience is very similar to yours, so I wanted to ask for your ideas on what type of software might be interesting to them as a giveaway. Will you please take a peek at our site at http://www.giveaway-club.com/? We basically run limited-time giveaways of premium software products. No adware or bundles. Users aren’t required to register or create an account to participate and get high-quality paid software products for free. Do you think your readers would appreciate you sharing info about Giveaway Club with them? It could be just a note with a link, a review or even a widget that would automatically update current giveaway info for your readers. We would also be happy to publish your article as a guest post in our Trending Topics section (http://www.giveaway-club.com/trending-topics) or talk about other ways we could be useful to each other. Is there a sign up form for news on new giveaways on your site? Good day! Could you help to share Photo & Video Software pack to those who need them? Hello, would you like to host giveaway of iCare Data Recovery Pro which worth $US 69 in regular price? We can offer 72 hours unlimited giveaway of iCare Data Recovery Pro to your site visitors for free, which would increase the value of your site. Thanks a lot for your marvelous sharing. I’m Alice from iMyfone Technology Co., Ltd. I’m so glad to know your website and write this letter to you. I am honored to invite you to write a review about iMyfone Data Recovery for iPhone, which is a full solution to recover lost contacts, messages, photos, notes, etc. from iPhone, iPad and iPod touch. We will hold a giveaway campaign of iMyfone Data Recovery for iPhone Beta from Aug. 12th to Aug. 18th PDT. Everyone can get a registration code for FREE once they enter their names and emails on the contest page. I bet your subscribers will be very grateful as your review are lending them a hand, thus will make your website more popular. If you have any interest, please email me. I will send you the program and a license for your test and review. This is Alex from SmartPixel.com, SmartPixel is a game recorder software for gamers, in addtion to game capture feature, it also provide video editing features to help gamer easily edit game videos, and it supports game upload and share game videos directly to their social network like Facebook, YouTube, Twitter. We’d like to cooperate with you to launch a giveaway to help the gamers create game videos, please advise the details, thanks. Hi Alex Shawn, please sent to us your giveaway pages or license to email help@ht95.net, we will post an review for your product soonly as possible. How are you doing? It has been a long time since our last cooperation, and I hope everything is fine with you. Thanks again for your sharing our product Aoao Video to Picture Converter with HT95 readers, and we feel proud and happy that your readers love our product. Today I’m writing to discuss a new cooperation. *Support a wide range of video formats: AVI, MPS, FLV, MOV,MPG,etc. It is a professional software for family or personal use. We would appreciate it if you can do a brief review for our product. Or, if you prefer other ways of cooperation, please feel free to let me know, and we can discuss about them. This is Vivian from http://www.wisecleaner.com/ and we develop PC cleaning and optimizing utilities for windows users. Would you please hold a giveaway activity for our main software “Wise Care 365”? About Wise Care 365: Clean registry and junk files from your PCs. Protect your privacy and make your PCs more secure. Provide a better option of optimizing and accelerating your computer! Over 15,000,000 downloads worldwide and besides it can support more than 40 languages. Looking forward to hearing from you soon.Thanks! Thanks for contacting us, please sent your company license key or giveaway pages to our email below help@ht95.net . we will post an review to our website with your giveaway pages. This is Alex from EZTalks, a dedicated online video conferencing provider. Very glad to meet you. We come across your website, and found it is wonderful. We currently released a new product and would like to do software promotion on your website, we want like to do software promotion on your website. Would you please let us know what do we need to do in order to do that kind of promotion on your website, i believe it will be beneficial for both of us. Hope to hear from you soon. This is Candy from Vibosoft Studio. I want to make a giveaway on your webisite about our hot software, Vibosoft DR. Mobile for Android. Can you reply me about how to post it. Hi Jimmy, are you looking for this? I am doing a website assessment for your company through fiverr and I had a few questions. Could you have the phone numebr to reach whoever is in charge of the website or have this person email me the phone number to contact them thank you. Now I am waiting for my license code Rankaware 1.4 on my email. Thanks, License key have been sent, check mail! Your website causes it to be so easy to learn, comment and share!